MWM NEWS BLOG: Interviewed : Imprint Lab. 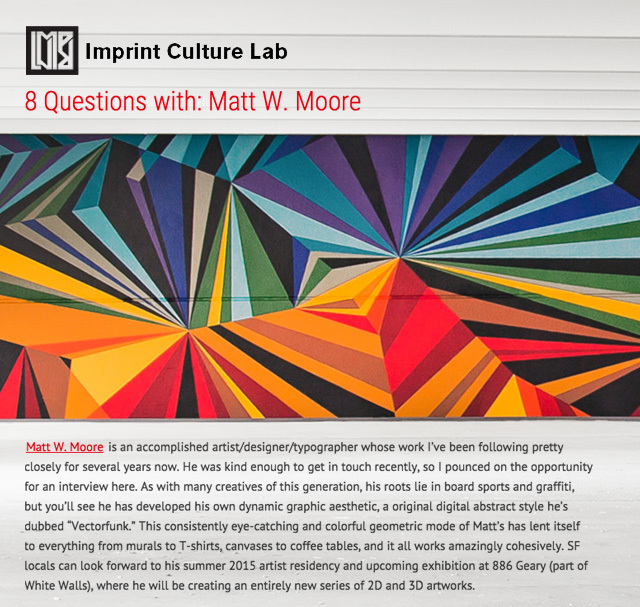 8 Questions with: Matt W. Moore. Thanks much to new friends at Imprint Culture Lab. It's an honor!